Seabreeze has been a bit bi-polar in their forecasts this week. It kind of feels like a lottery, but usually by Friday they are quite spot on. 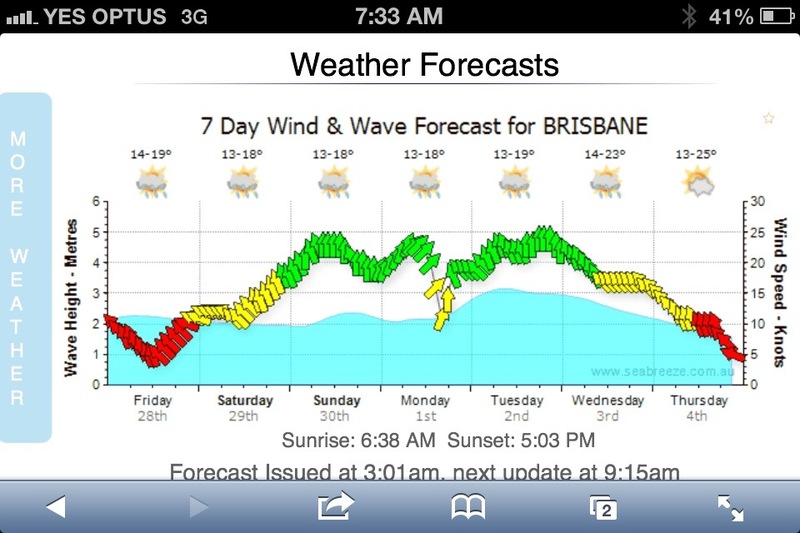 The lottery went against us and there is just enough wind forecasted to mean we probably won’t get to go spearfishing. Yesterday the rain came through. Having overcast skies makes such a difference to minimum temperatures. On Tuesday at 7am the thermometer said 4 degrees. Today at the same time it was 15 degrees. That’s probably the only reason I’m glad the rain is hanging around. Just over 6 weeks until we escape to Samoa, which means not long until our packing woes begin!